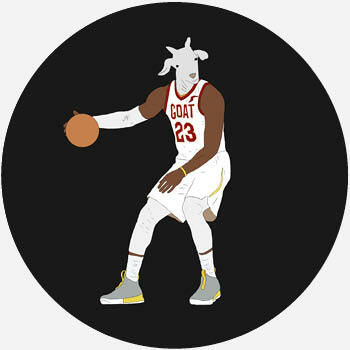 What does clock spider mean? Clock spider is a meme of a giant spider photographed hiding behind a wall clock. Where does clock spider come from? 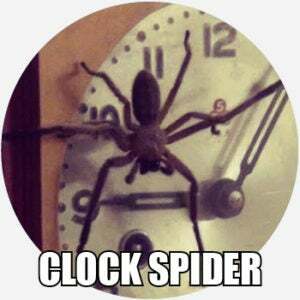 The clock spider meme originates in a series of three photographs depicting the spider, first posted in April 2003 by kenratboy on the Klipsch.com message boards, in a thread called “LOOK AT THIS WOLF SPIDER!! !” The images show a giant huntsman spider crawling out from behind a clock. The clock spider spread as a meme online, with the name clock spider appearing on an internet newsgroup later that month. Clock spider was variously defined on Urban Dictionary by summer 2016, with many entries humorously depicting to the clock spider as a kind of dreaded, all-powerful overlord. The clock spider meme has inspired other internet users to share similar images, videos, and memes of large spiders lurking in unlikely, everyday places, including clocks, with the term clock spider being used to reference any particularly enormous spider, as if clock spider itself were a species of spider. Smaller spiders found and/or photographed on clocks will also be called clock spiders.